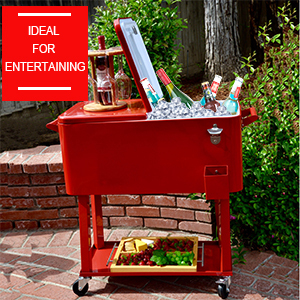 Keep guests happy by adding a level of service to your next gathering with the Sundale Outdoor 80-Quart Rolling Ice Chest Portable Patio Party Drink Cooler Cart. With a steel body, this cooler is made to handle the harshest environments. 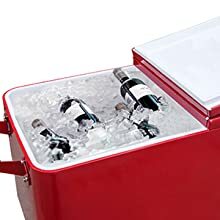 The cooler itself has handles on each end and dual flip-up lids for easy access from either side. There is a rear drain for easy emptying and an integrated bottle opener and cap catch-so handy. 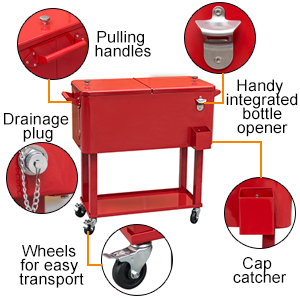 This cooler sits on a sturdy cart equipped with heavy-duty casters for easy mobility, and two of which lock into place. 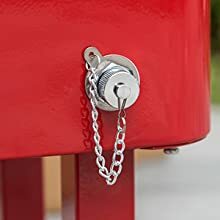 With its stylish design, you can place it near your seating area to place snacks, beverages, soft drinks or even use it as a stand for your garden. We know how important home is, so we want to help you find exactly what you love for where you live. That's why we offer rolling ice chest series for you to see and touch. 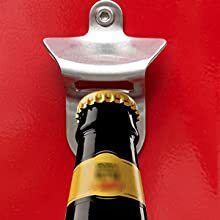 A convenient bottle opener and cap catcher makes opening drinks a breeze. 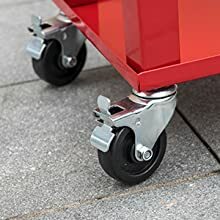 The base features 4 heavy-duty casters for easy portability and two casters lock for stability. Convenient drain to easily and quickly get rid of excess water. 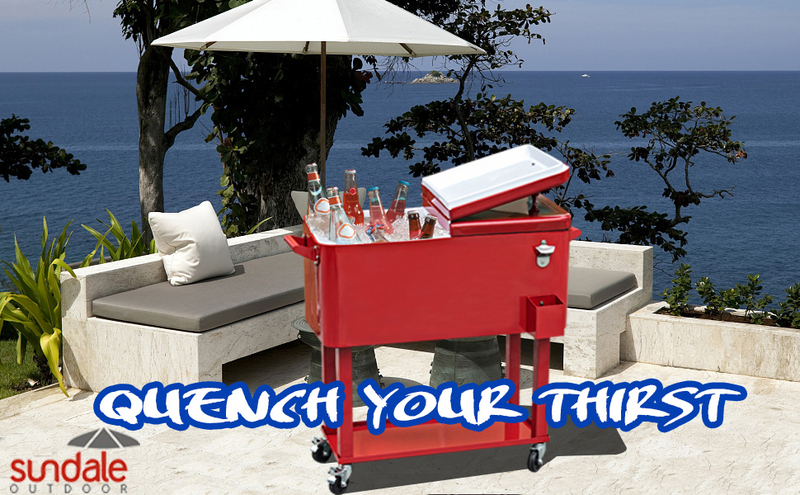 Outdoor cooler holds 80 quarts/20 gallons basin keeping all of your favorite beverages cold.